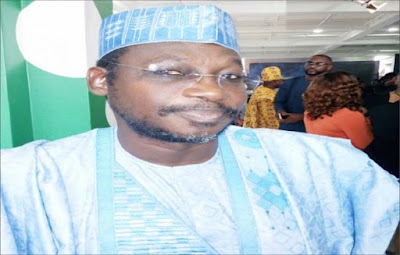 Mustapha Abdul is the Director, Exams Administration, National Examination Council (NECO). In this interview with OYENIRAN APATA at the finals of the Cowbellpedia Mathematics competition for secondary school students, he spoke on the importance of mathematics in everyday life and how phobia for the subject can be tackled. What is your impression about the Cowbellpedia mathematics competition? Honestly, it has been a very keenly contested competition by all the contestants’ who usually put in their best. As you must have observed the majority of the contestants were only separated by few seconds not actually getting the answers right. Definitely, this is a positive and welcome development and it shows that Nigeria has sufficient talents to compete globally. Mathematics is a subject that enables an individual to engage in critical, reflective and logical thinking and it forms the basis not only in the sciences but other subjects. Anybody who thinks logically, reasons and reflects logically and thinks reflectively has promoted the study of mathematics. That explains what it does to the human brain as it sharpens it to be able to think and reflect logically. What is your view about the impact of mathematics competition on Nigerian students? Honestly, it is not only in mathematics because it is quite easy to say I do not like mathematics. You are sitting on a chair you are doing mathematics; if you are driving you are thinking mathematics; even if you meandering through a narrow gate you are thinking reflectively and mathematically. Mathematics is an everyday life activity. It is an activity of the brain. Definitely the impact this is making has shown that Nigeria is leading the pack and probably in the world. This is because Nigeria competes globally and excels at international levels. That is a testimony that people might be thinking negatively about this country but the fact remains that we still have something great to offer the world. NECO has been around for some time. In the last few years, how would you rate students and candidates performance in the subject? Performance is on the increase as exemplified by the competitors as it is becoming fierce and interesting. The performance of students in NECO mathematics and other subjects is a reflection of what people have been witnessing with this competition. Students are really coming to terms with mathematics and the sciences. The more you come to terms with maths the more you come to terms in other subjects. You need mathematics to engage in logical and critical thinking. I can say in the last two years there has been a remarkable improvement in the performance of students in the subject and largely it has to do with the interest of students in the subject. What is your advice to students who still have a phobia for the subject? My advice to students, parents and the general public is not to run away from mathematics because it is a beautiful subject. Once you think and use your brain to think and reflect on what you are doing invariably it is mathematics. Students should not develop phobia for Mathematics because it is something you can embrace as it helps in our everyday life. You may not have seen the walls of a school but that does not mean you are bad in mathematics. Mathematics is subject Nigerian children should embrace and it is getting better. You can see the mastery of the subjects displayed by the competitors. It is amazing that the students are providing answers to questions as fast as the computer can possibly provide even faster than the computer. As demonstrated during the competition before the moderator could end the questions answers are already provided in many instances. That is to say that the human brains can indeed be faster than the computer as attested to by the outcome of the competition. How best can phobia for mathematics be best addressed? Phobia for Mathematics can be addressed if people begin to understand that everything we do globally is about mathematics. If you are crossing the road, it is about mathematics; you are crossing the road you are doing mathematics; you are rearranging and repositioning seats in your house you are also engaged in mathematics. The moment people begin to see mathematics as part of life phobia for the subject on the part of parents and children will be tackled. What is your message do you have for Cowbellpedia? I will encourage them to continue. They should keep the flag flying to encourage more mathematicians and encourage the study of the subject.